English speaking driver will pick you up from your hotel or from the port by minivan with air conditioned, drive to Pompeii ruins,where you will meet your personal guide for the visit of Pompeii, also a stop for your own lunch and then a wonderful drive along the Amalfi coast,with stop also in Positano. 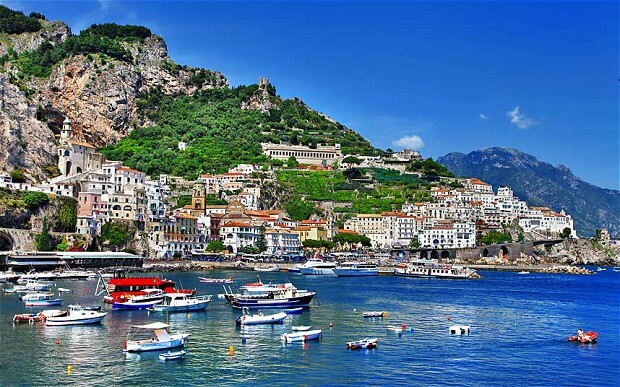 Driving along the mountains with great panorama,you will see part of Sorrento coast from a natural balcony,also a spectacular wiews of Napoli bay and Capri island. After Pompeii tour You will reach the most important winemaker of Lachrima Christi on the slopes of Mt. Vesuvius for a great lunch break !!! At the end of this wonderful tour the driver will take you back home. Recommended confortable shoes..
Price is based on the number of people !!! Duration from Naples or Sorrento 8 hours. Price depend on the number of the people ,if you advance you booking will be a better price and discount for large family. The excursions take place on shine and rain !!! Bring with you confortable shoes. You can rich us by Circumvesuviana train line from Naples or from Sorrento,getting off at Pompei Scavi-villa dei Misteri .check on www.eavcampania.it click your departure town and your arrival town. EvOur driver will take you for a great lunch break !!!! You can reach the most important winemaker of Lachrima Christi on the slopes of Mt. Vesuvius . the arrival in the winehouse will be served with a welcome classic wine Lacryma Christy –Neapolitan cheeses and salami with the inevitable bruschette with fresh cherry-tomatoes and extra vergin olive oil !!!! great spaghetti-cherry tomatoes souse,with the tipical neapolitan home made pasta,famouse pasta by Setaro’s family(renowned in our region by Neapolitan people. To complete with a tipical Neapolitan cake –local Apricots Grappa , The great lunch end with local Prosecco wine ,it will be your unforgettable Neapolitan meal !!! After this nice break, the tour will continue driving up to the Vesuvius reaching the entrance of the crater ,the view from the tpo will be fabulous !!! !